This wedding themed Daily personalised newspaper is a unique keepsake gift. 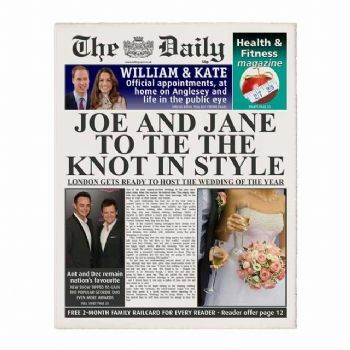 Available as Single Page, Framed or Presentation Folder. 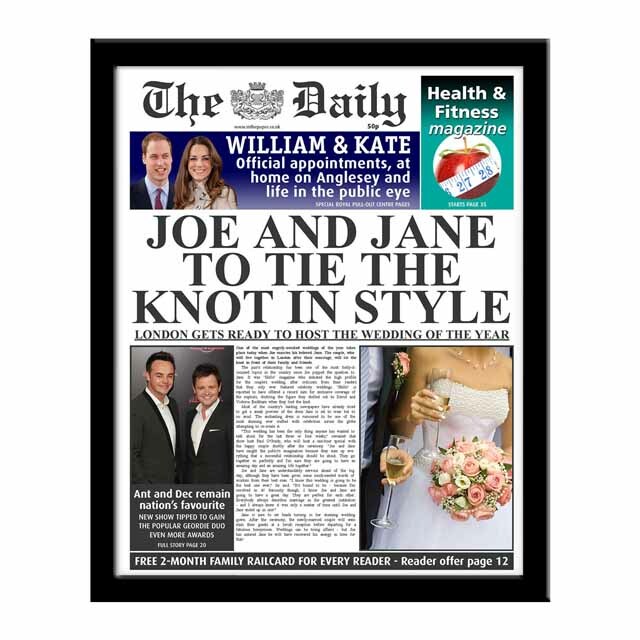 This wedding theme`d Daily personalised newspaper is a unique keepsake gift for the happy couple and can be personalised with the Bride and Grooms names as well as the location. 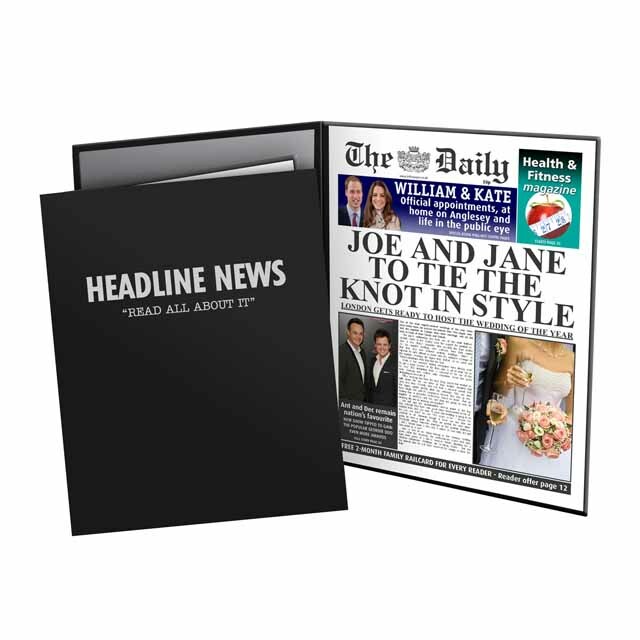 Available as Single Page, Framed or in a Headline News Presentation Folder.